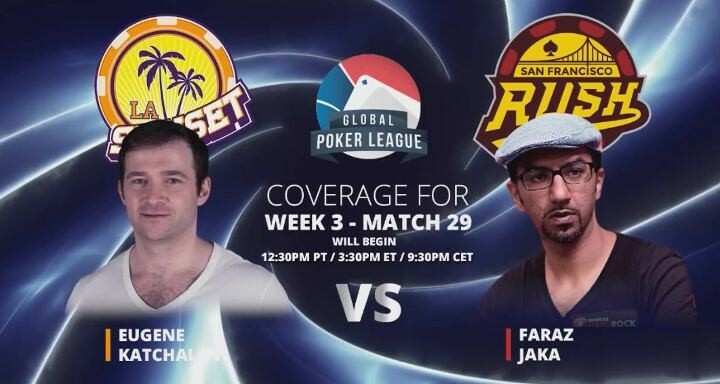 If you missed the face off between Eugene Katchalov of the LA Sunset and San Francisco Rush Team Manager Faraz Jaka this week, in what was Week 3 of the Global Poker League – you can catch up on all the action here. Both teams definitely have their work cut out for them as The New York Rounders are storming the standings. 6 months on from announcing he was going to train for a Mixed Martial Arts (MMA ) fight, poker pro & La Sunset GPL Team Member Olivier Busquet will be fighting Mexican poker pro JC Alvarado tonight, in Vegas. The fight will be held at Syndicate MMA in Las Vegas at 6pm local time. Tickets will be sold for $20 at the door and all proceeds will go towards One Drop — a charity that helps to tackle the water crises on a global level. You can also read Busquet’s humbling story about what motivated him to take on this extraordinary challenge and how he got to where he is today over on his blog. Head over to his twitter account @RealKidPoker to place your vote. 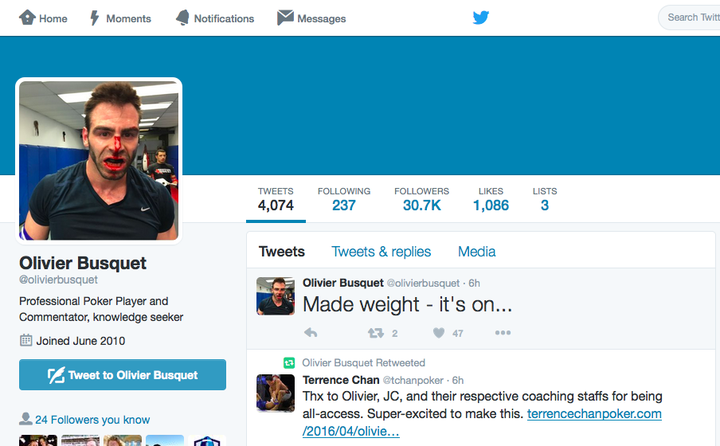 We are rooting for you Olivier! Want To Spend The Summer In Vegas at the World Series of Poker? The WSOP is currently looking for Live Reporting Staffers to cover all the WSOP action this summer. The WSOP is looking to fill places on their media team for Live Reporting Staffers to help cover all the 2016 WSOP action in Rio, All Suite Hotel & Casino in Vegas this summer. The job will run between May 31 and July 18. The successful candidates will be working from inside the series, reporting on all the action for the official live WSOP reporting team. It is a great opportunity for anyone with a love of poker who wants to look at gaining real life experience of working with a media team on the worlds biggest poker stage. For all the details on how to apply, go here. One of the more recent petitions on social movement site, Change.org, calls for the World Series of Poker to eliminate rake on the Main Event.. The petition, if it reaches 100 signatures will be delivered to World Series of Poker head honchos: VP and Tournament Director, Jack Effel; Executive Director, World Series of Poker / Senior VP, Caesars Interactive Ty Stewart and VP of Corporate Communications, World Series of Poker, Seth Palansky. Though we have a sneaking suspicion they may already be aware of its existence. It calls for “a revenue-sharing program to supplement the prize pools for the top WSOP poker tournaments with part of the revenue generated from TV contracts, sponsorships, licensing and other sources derived from the value of the WSOP brand.” We kinda doubt that will be well received by Caesars. So far the petition has 72 signatures and is nearly 3/4 of the way to ending up at WSOP HQ. 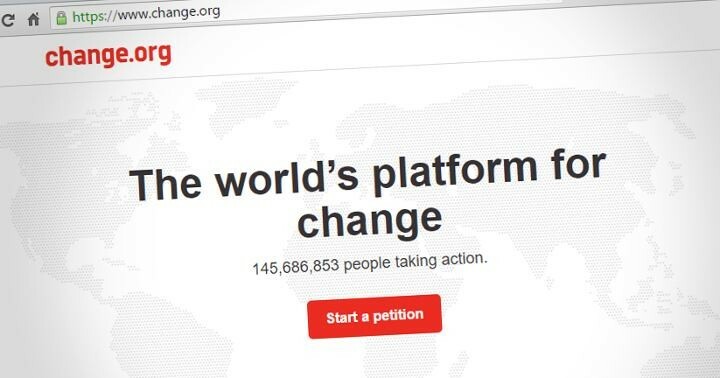 For those of you who aren’t familiar with Change.org – it is a great platform that enables anyone, anywhere to start a petition, to entice change on a local or global level. And this petition is no different, if perhaps a little over ambitious. 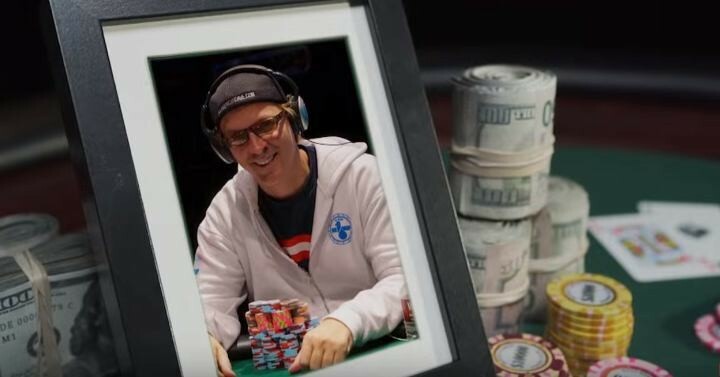 Tune in to Poker Central on Monday 9:00pm EST for the latest Pokerography episode, all about Phil Laak. The show will delve into his time dominating the San Francisco cash games to his rise to winning a WPT title and WSOP bracelet. Without giving too much away here are some great previews ahead on Monday’s episode including a deleted scene.